Christmas is Around the Corner. Are You Ready? 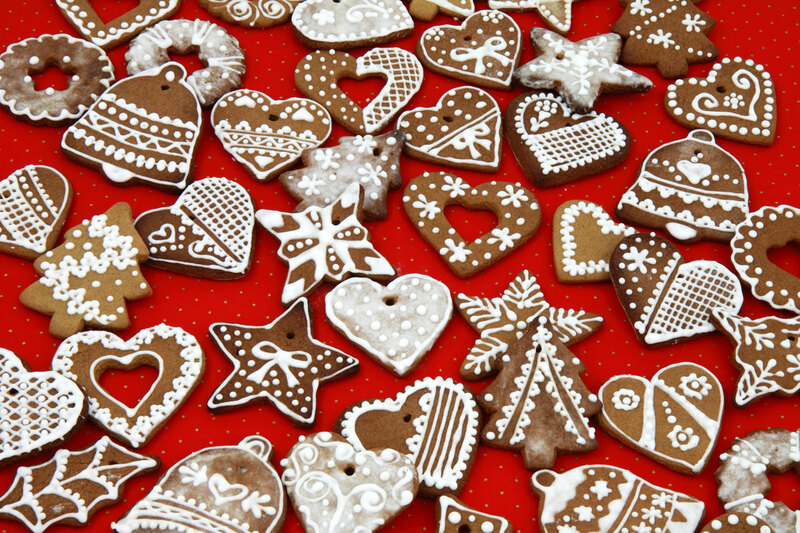 This weekend begins Christmas cookie season. I know, it seems a bit early this year. It is. As I posted last year, or rather right around this past new year, cookies have become out of control. I think everyone would agree that 110-130 DOZEN cookies, mixed, baked and delivered over a two week period is overwhelming, especially when you're working full time. For the past 3-4 years, I have gotten the flu to end all flus right afterward, with the result that I am extremely ill over the holidays that I spend with my family. I toyed with giving up cookies. The problem is that I enjoy baking them and I love delivering them. I figured there had to be a way to soldier on. Hence, beginning cookies this weekend. I'm making the dough before Thanksgiving and freezing it. Then, all I and my little elves have to do is bake them prior to delivery. That, and a ton of vitamin C and zinc, should do the trick. Why didn't I think of this earlier? The holiday season is also tough for our clients here in the Trenches. Right about now, every divorce blog is full of hints for surviving the holidays when you're divorced. Everything changes with divorce, and the rituals of the season change right along with them. Most of my clients try very hard so that the holiday rituals don't change much for their children. What about them, though? Most people spend years doing the holidays a certain way. Maybe they spent every Thanksgiving with one extended family and Christmas with the other. Now, their Thanksgiving holiday is gone, the kids are with the other parent's extended family, and they are at sixes and sevens, as my Grandma used to say. Remember, I've been there. Thanksgiving was always my spouse's family's holiday. I spent the first few Thanksgivings sitting in my basement, watching movies, and eating whatever. It was not fun; in fact, it was downright depressing. I never said as much to my children, but they figured it out, and worrying about how mommy was spending Thanksgiving interfered with their holiday. Remember, that was the holiday I was trying to preserve for them, and here worrying about me was going to take away from those memories. So, one year, I sat down and thought about Thanksgiving. I realized that I could spend it with my family. Sure, Thanksgiving is not my family's big holiday (that's what happens when your grandfather is born on Christmas Day), but we could be together anyway. I know, Christmas is only a month after that, but so what? I not only love, but like my family, so why not be with them? That was many moons ago. The Thanksgiving tradition with my family has changed a bit as our needs changed, but it's my new tradition. It sure beats dreading the holiday. I look forward to my visit with Mom, and our Movie Day (I hate turkey). Even more importantly, my children know I'm doing something fun, so they can enjoy themselves fully. What about you? I'm writing this post now so you have time to make plans. What? You say everyone else already has plans? That's really not so. We like to think everyone has plans. We like to think that we would be intruding. We like to think it would be too much bother, so we never ask. We never put ourselves out there to say that we don't have plans for the holidays, and that we're worried it will be difficult. We don't want to say that we're far away from family and don't have the time or money to go home. We don't want to say that this is our first Thanksgiving without the children, and we don't know how we'll handle it. We think it makes us look pathetic. We think it looks like we're inviting ourselves. We don't want to ask other people to help us brainstorm what we could do instead of sit around and watch HGTV all day. I give you permission to talk to people and to ask them to help you. It's OK to be vulnerable. It's OK to talk about your worries. You will probably be amazed at what people will say. How about you have a happy holiday? Here in the Trenches.